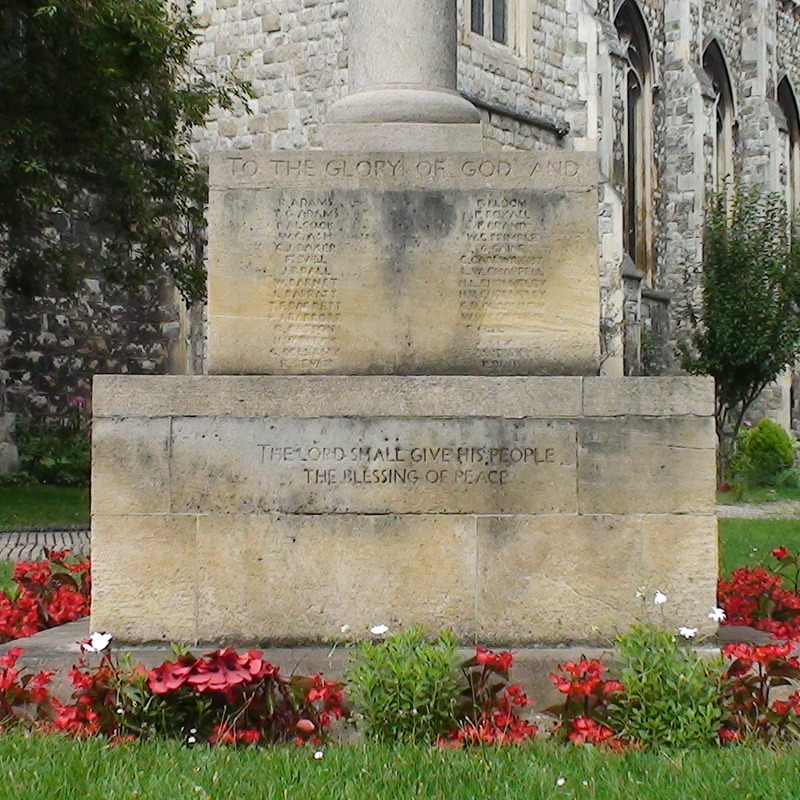 To the glory of God and the memory of the men from this parish who fell in the Great War, 1914 – 1918. The crucifix is supported on a Tuscan column. Some sections of the list of names are so badly weather-damaged that the names there are partially illegible. 8 names are totally illegible: 2 between Clarsm and Dav; 6 between Fouler and Hewish. Also some letters are difficult accurately to differentiate (C vs G, J vs S, F vs E vs P, etc.) We’ve done our best. The church has a history page.